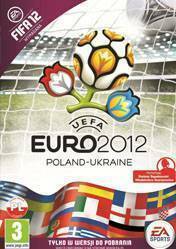 The EA SPORTS UEFA EURO 2012™ expansion pack for EA SPORTS FIFA 12 recreates all the excitement of the official tournament with over 50 European national teams, all eight official stadiums, and all the pageantry and atmosphere of one of the largest and most-watched sporting events on the planet. Compete as your favourite country in an authentic online tournament mode against rival nations in the group stage, progress through the knockout rounds, and ultimately compete for the chance to be crowned the UEFA EURO 2012™ champion. The all-new Expedition Mode designed exclusively for UEFA EURO 2012™ enables fans to build and compete with a customized squad against other European nations strategizing their journey through Europe. Plus, you will be able to relive dramatic moments from the UEFA EURO 2012™ qualifying campaign with challenges based on real-life matches, and replay key moments from the UEFA EURO 2012™ tournament.